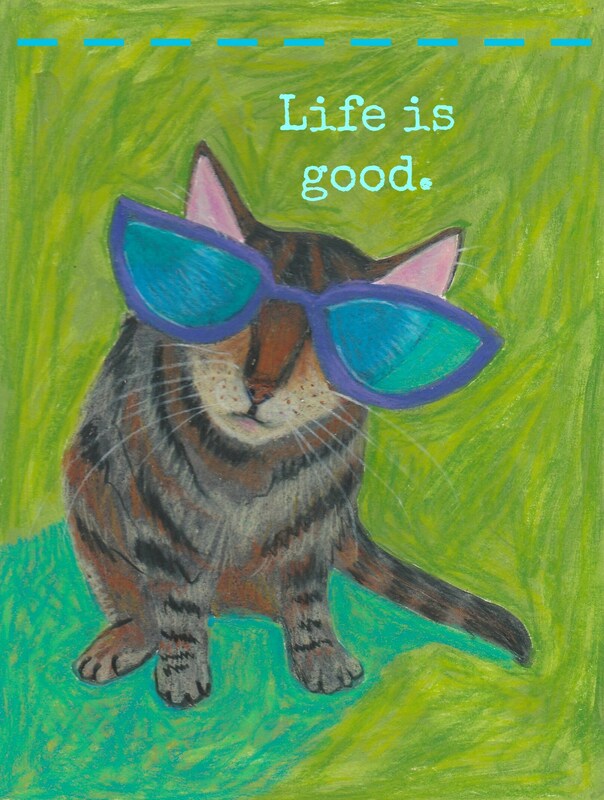 I was asked to do a playful illustration of a sweet 17 year old kitty who is a shop cat on Ocracoke Island in S.C.. A visitor placed her sunglasses on Spencer one day and that was the photo I chose to make a sweet card in her honor. All of the shops at Spencer Crossing ( how she got her name) feed her and make sure she has all of the veterinary care she needs. She's loved by SO many! And yes, she sleeps in every shop as she chooses.